With the addition of Club Sei, MP Hotels aims to set the pace of a new generation club experience that allows guests to create and live their own stories. The hotel group will inaugurate this game changing concept 2019-2020 season with two hotels in Turkey and one in Lanzarote, Canary Islands, Spain. 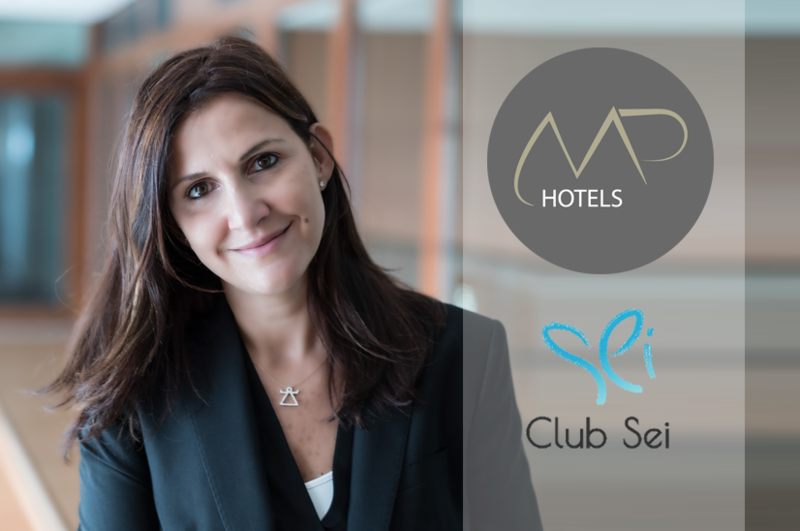 Munich – MP Hotels has announced the development of Club Sei during a press conference held yesterday at the Ritz Carlton Istanbul. Club Sei is an all-experiences-included club concept that caters to modern travelers and families looking for a customized and contemporary hospitality experience in interesting beach destinations. Club Sei is based on eight pillars that have been carefully concocted to cater to what travelers seek in their holidays nowadays; a combination of the digital and the nomadic, private and social, active sports and tranquil therapies, spacious rooms, market like dining spaces as well as customized activities to cater to all age groups. The brand is set to attract the young vibrant crowd that is looking for a resort experience that fully embraces the now, while also winking at the future. MP Hotels also announced the addition of three resorts that will operate as Club Sei. The infrastructure is there and the hotels will start operating under the new brand 2019 -2020 season consecutively, Club Sei Lanzarote, the Canary Islands, Spain, Club Sei Belek, on the Turkish Riviera and Club Sei Marmaris on the Aegean coast of Turkey. The 281- room, Club Sei Marmaris is situated on the foothills of the green mountains that adorn this luscious area of Turkey with access to a pristine beach. The resort includes a pool, private beach and jetties, a spa and several water based activities. The 772- room Club Sei Belek is found on the coast of the beautiful Turkish Riviera and includes 11 swimming pools, ample of restaurants and bars, water slides and a private beach. Both were chosen because they offered the perfect canvasses for MP Hotels to showcase this innovative brand. The details of Club Sei Lanzarote are expected to be released at a later point. Club Sei was founded with 8 pillars in mind. Columns that act as a kind of constitution to the brand. An integral part of its DNA, and ambitious mission. These 8 concepts are: Social Butler & Eloquent Service, Food & Entertainment, Sports & Fashion, Learning & Co-working, Well+ & Fitness, Farming, Exploring Like Locals and Stay & Art. Each is meant to give the brand a focus on what’s important for the guest, while also acting in concerto to create a truly unique experience. Every pillar focuses on a point of importance for our visitors, and is inspired by current and up-and-coming future trends. It strives to celebrate the reality of our targeted customer. The type that see life as an opportunity to strengthen themselves holistically through travel. Our social pillar will make use of both in-person Butler Service and a digital app under development to provide guests with customizable and personalized experiences. The food & entertainment pillar will take a page from the traditional, but bring a modern twist to classic dishes and the dining experience as a whole that will be set in Bazaar market style venues accompanied by music and entertainment. Club Sei’s farming pillar, is an assurance of fresh ingredients to our guests, and will act in unison with the food & entertainment pillar. With its Exploring Like Locals pillar the brand will strive to provide an equilibrium between its cosmopolitan self, and the locale it serves, providing guests with a base for exploring their destinations like a local. The learning & co-working pillar is a promise to guests that each hotel will feature comfortable open-space places for them to practice their intellectual pursuits, or have the ability to take part in interesting classes or events. The well+ & fitness pillar will showcase a balance of active physical pursuits, in combination with body relaxation treatments. The latter goes hand in hand with our sports & fashion pillar, which showcases our brand’s desire to provide guests with the opportunity to exercise in and be trendsetters. Finally, the stay & art pillar is a signal to guests that they are venturing into a space with an artistic, and design sensibility.